Women in Ardabil province, northwestern Iran, prepare Qavout, a kind of food product made of several nuts, in early winter based on an ancient tradition. People in northwestern Iran believe in specific definitions for seasons, especially autumn and winter. They divide seasons based on myths and legends. This shows how rich is the basis of the region’s traditions. In Ardabil province, northwestern Iran, women – who are symbols of birth and life – are the main followers of customs throughout the year. They share the transitions of earth by observing customs based on the nature’s evolutions. There is an ancient custom among them to bless their household’s winter food in honour of Prophet Khidr four days before the winter begins. “In Ardabil, housewives cook Qavout – a special kind of food – when ‘Garmij’ wind blows and slushy snow falls during the last four days of autumn and the first four days of winter. This period is called ‘Charchar’ or ‘Khidr’ among locals,” said a cultural researcher, according to a Farsi report by Mehr. Due to the lack of living facilities, Iranian families modified their lifestyles according to what was accessible in the past. This is clearly visible in what they eat, including Qavout. 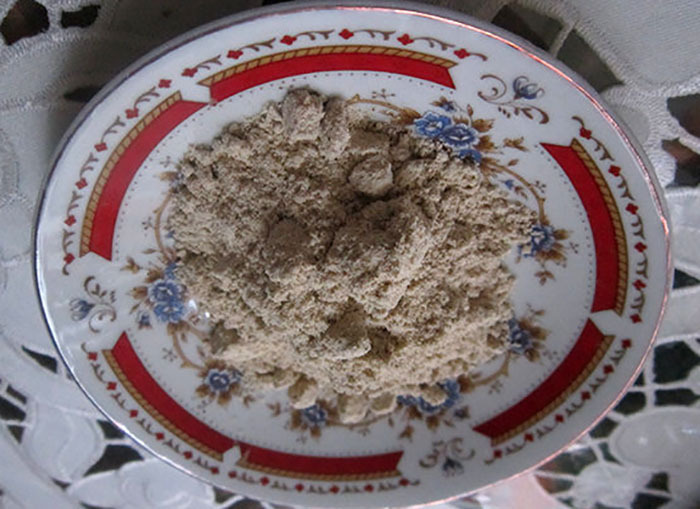 The ingredients of Qavout include heated wheat, white pea, heated corn, cannabis, seeds of melon and watermelon, linseed, peeled black pea, sugar, lentil, pumpkin seed, apricot stone, California almond, wild bean, white bean, broad bean and cowpea. A wooden spoon or broomstick is used to mix the nuts. After heating and cooking the ingredients, women grind them up in stone mills: this is the main part of preparation. Then they sift the powder. People of Ardabil analogize sifting to falling snows; the women of Ardabil sift Qavout in the cold season, right in the time when the nature hibernates, to repulse misfortunes. 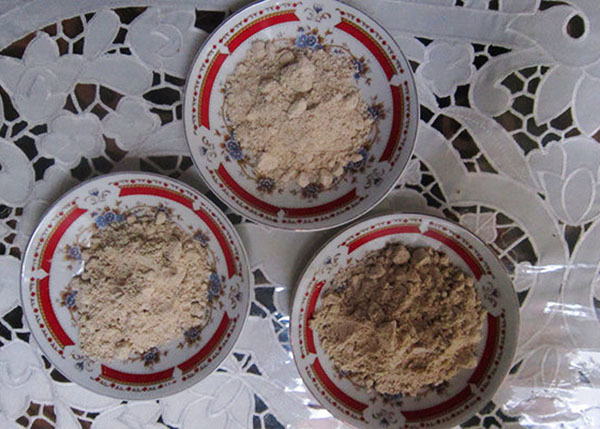 Qavout is eaten in the form of paste or sugared powder with grape extract, sugar syrup, water or milk. Often prepared and distributed as a religious vow, people decide for how many years they will cook Qavout. Being prepared with special sensibility, it is offered to family members, friends and neighbours as a small gift of joy. Qavout preparation is also an opportunity to strengthen family ties by coming together, chatting and discussing problems. Last but not least, Qavout is said to have originated from eastern Iranian province of Kerman and is nationally known as Kerman’s souvenir, but people in northwestern Iran also make it, particularly as part of their winter customs.